The General Amnesty period for Army personnel Absent without Leave (AWOL) has been extended by another week, until November 22 in response to numerous requests made to the Army Headquarters. Earlier, the General Amnesty period began on 23, October were expected to end on Wednesday (15). During this period a total of 8052 Army deserters including 10 officers, 8 Officer Cadets and 8034 Other Rankers have reached respective Regimental Centers expecting legal discharge, SLA media unit said. The decision to extend an Amnesty period was proposed by the Commander of the Army after considering their previous service to the country while in service, a statement said. Upon expiry of the final day of the extended Amnesty (November 22), law enforcing authorities have been advised to launch island-wide operation to nab the reminder of those AWOL, it said. Sri Lanka Army, therefore appealed to all religious leaders, Grama Niladharis and relatives to educate and encourage the absentees if known to make use of this opportunity and receive the discharge. All those remaining absentees are advised to make use of this special amnesty, now in effect and receive their legal discharge before November 22, the SLA said. 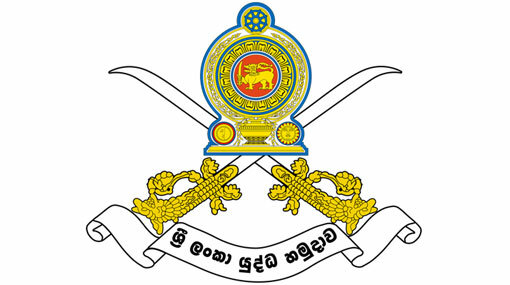 The general amnesty on the directions of the President and the Ministry of Defence was declared on October 23, 2017 and respective Regimental Centres under the supervision of the Commander of the Army Lieutenant General Mahesh Senanayake began receiving those absentees.